The Assembly of First Nations and the Métis Nation, who together represent more than 1.2 million Indigenous people, are greeting the Trudeau government’s proposed Indigenous Languages Act with ecstatic praise. 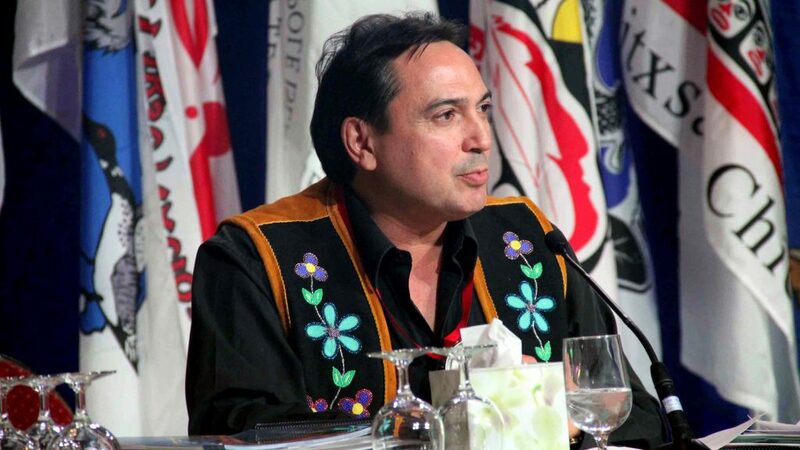 “This is landmark legislation to protect and strengthen Indigenous languages, the original languages of these lands, that embrace our identity, our worldview and our nationhood,” Perry Bellegarde, the national chief of the AFN, said on Feb. 5 in a statement. That position stands in sharp contrast to that of the Inuit Tapiriit Kanatami, whose president, Natan Obed, slammed the bill yesterday in a caustic statement. Trudeau had promised to introduce an Indigenous Languages Act at an AFN assembly held in December 2016. The bill responds to three different calls to action from the final report of the Truth and Reconciliation Commission, which recommended the appointment of an “Aboriginal Languages Commissioner” and funding support for languages. So with the tabling of the bill on Feb. 5, “now there is hope” for Canada’s Indigenous languages, Bellegarde said, pointing out that the AFN co-developed the proposed new law. The AFN, which represents more than 900,000 Indigenous people who live inside Canada’s borders, urged all others to support Trudeau’s bill. “Canadians and all parliamentarians must support this bill because we all understand that language is identity, language is culture, language is life,” Bellegarde said. Clément Chartier, the president of the Métis Nation, which also calls itself the Métis National Council, declared unequivocal support for the bill as well. “We salute the prime minister for acting on this priority,” Chartier said. The Métis Nation represents more than 350,000 people. “The bill recognizes that the rights related to Indigenous languages are among the rights recognized and affirmed by section 35 of the Constitution Act 1982 so this is reconciliation in action,” he said. At the same time, the Métis Nation minister of heritage and culture, Clara Morin Dal Col, said the bill marks “a giant first step” towards supporting Michif, which she described as the “most neglected” of Canada’s Indigenous languages. And like the AFN leader, she said she commended Trudeau for creating a process in which the Métis co-developed the Indigenous Languages Act. ITK, however, has essentially rejected the Trudeau government’s Indigenous Languages Act, because it contains no Inuktut-specific content, a key ITK demand. In a withering attack on the bill, ITK president Natan Obed accused Ottawa of acting in bad faith towards Inuit. “The absence of any Inuit-specific content suggests this bill is yet another legislative initiative developed behind closed doors by a colonial system and then imposed on Inuit,” Obed said. The federal bill, which Heritage Minister Pablo Rodriguez must now steer through Parliament, would create a federal Office of the Commissioner of Indigenous Languages, commit long-term money to Indigenous languages and create ways to promote those languages. When asked about Inuit objections to the bill at a scrum yesterday, Rodriguez told reporters the government is open to amendments. “Can we amend it to bring other stuff into it? Absolutely. But we have to start somewhere and this is where we start,” Rodriguez said. Minister Rodriguez, this bill is not “where we start”. 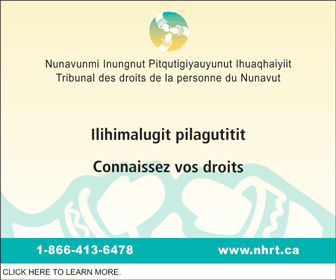 We start by recognizing Inuktut as the official language of Inuit Nunangat. Otherwise, you don’t get my vote in the upcoming election. 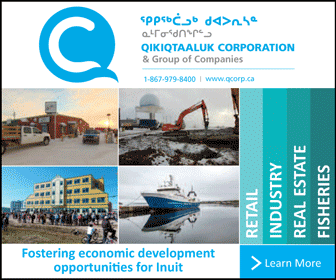 Inuktitut is already an official language in Nunavut, NWT and Nunatsiavut. Why should the federal government duplicate language commissions that already exist at the territorial and provincial levels? 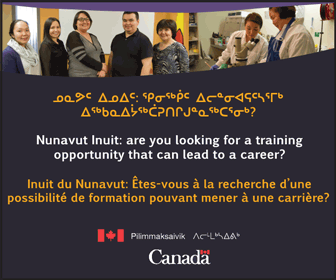 The only region where Inuktitut it is not official is Nunavik and the language in Nunavik is robust and healthier than anywhere else even thought the region is dysfunctional in many other ways. Like I said in another comment, the wealthy, privileged $180,000 a year Iqaluit decolonistas like Kotierk and Obed are seriously alienated from the people at the grassroots. They have lost touch completely with the needs of the struggling population, who want better housing, access to food, access to jobs and safety and justice for all the beaten and abused Inuit women. Language is not a big priority at the community level any more. At least national chief Bellegard and president Chartier have the wisdom to see this national Indigenous languages law for its historic importance. If Obed is not happy with the bill, then likely the bill is not adequate enough to serve Inuit and protect/fund/recognize Inuktitut, especially if Inuit aren’t even mentioned in the bill… but I haven’t seen it. I want to see for myself so I can make up my own mind. As for Pologlot; speak for yourself. Yes, those are the most serious issues you mention, and ones I totally agree with, but Inuktitut has to be included in that list, especially if they’re passing federal legislation on it. Why do you, like so many Inuit including Natan, feel that any and all federal legislation need to include the word “Inuit”? You think you were here first? Half of my heritage is from France and settled in modern Quebec along side with indigenous people over 450 years ago, only about 150 years after the modern Inuit settled in northern Canada. The other half of my heritage is Mi’kmaq. They settled in modern Canada 10,000 years ago. Try to be proud of your heritage. The way Inuit are portraying themselves is not looking good to the rest of indigenous Canada; kinda like a spoiled brat. It’s a very insular, self absorbed world up here. Yeah I understand. Funny though it wasn’t like that when my family came to “Frobisher Bay” in the 70’s. I bet it wasn’t like that when the Vikings came around here too; before the time modern Inuit got here. The Vikings actually met the Thule people, not modern Inuit. I guess the world is a wonderful playground meant for all people to enjoy. That’s what my ancestors felt when they were welcomed here so long ago and settled peacefully with the locals on the Gaspe. Wow… “Half of my heritage is from France and settled in modern Quebec along side with indigenous people over 450 years ago…”? Settled along side huh? Nice and peaceful like, maybe they were even invited to do so with open arms by the local indigenous peoples? And Inuit only settled in the Canadian Arctic 600 years ago? Not the 4000-8000 years ago claimed by modern anthropologists? I think you might want to revisit your history lessons, sounds like you could use a refresher. Not true. The ancestors of today’s Inuit moved east into Arctic Canada and Greenland from their northwest Alaskan homeland in a series of migrations beginning about 800 or 1,000 years ago. I’d be interested to the anthropological evidence that states 4 to 8 thousand years though. Hey back to ‘school’, looks like you got skooled, eh? I guess that Natan Obed and the other snowflakes at ITK didn’t get the message that this was a bill designed to protect all indigenous languages and not just Inuktut. By giving all indigenous groups a seat at the table the Feds have signalled that the bromance between Obed and Trudeau is finally over. Good! Canadian government… just want us to continue fight ourselves as natives of Canada. Perhaps once my generation take over the leadership, or next. Inuit, First Nations & Meties will learn to work together, united and will improve almost everything. We always get high rate of related social issues. More educated, because education is the key to open up can betterment for natives to make changes of system s, that’s not working for our ppls…..
Don’t want my name printed!